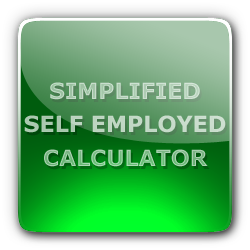 Calculate the tax implications of being both employed and self employed, using the latest tax information from the tax year 2019 / 2020. As well as having deductions made by your employer through PAYE, you will have to tell HMRC about your self-employed income and you may have to make additional tax and National Insurance contributions. New! 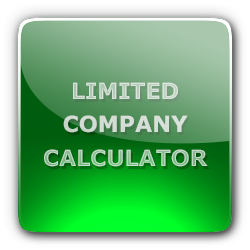 - Calculate your tax if you are self employed through a limited company! If you are both employed and self employed at the same time, or are changing from employed to self employed (or self employed to employed), the tax and National Insurance implications can be complex. 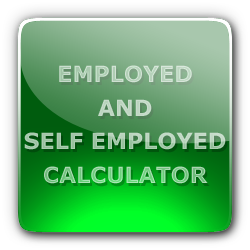 If you are thinking of becoming self employed, the calculators above and the information available on this site may help you. You must tell HMRC as soon as you become self-employed (even if you will also be employed at the same time, or if you already complete a tax return each year), not when it comes time to fill in a tax return. Details are available on the HMRC website - how to register as self employed. Once you are registered as self employed, HMRC will require you to complete a tax return each year. They will write to you shortly following the end of the tax year (5th April) asking you to do so and explaining how you can do this. In the tax return you will enter details of your self employment income and any allowable expenses incurred in the course of your self employment. This will allow them to work out how much tax and National Insurance you need to pay. In most cases, you will be required to pay the outstanding amount by the end of October following the end of the tax year, or the end of January if you file your return online. For example, if you fill in your return online you will have to pay your tax for the tax year ending 5th April 2019 by 31st January 2020. On top of this, HMRC might ask you to make "payments on account" for the current tax year. There is one such payment on account due at the end of January (i.e. at the same time as your main payment) and a further one the following July. Typically, each of these will be 50% of the total amount you owed for the previous year, so that by the second payment you have paid on account the whole amount you owed last year. If you expect to owe less than this (perhaps because your income has gone down) you can apply to have them reduced. More information on the HMRC website.